Which Mobile Scissor Table is for you? 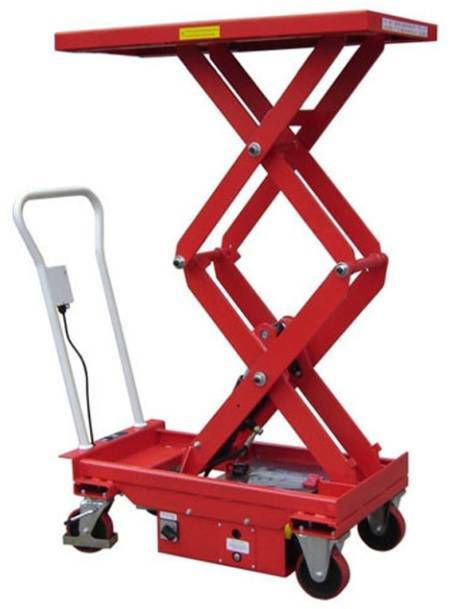 LiftruckEquipment GeneralWhich Mobile Scissor Table is for you? A question we regularly get asked is how to select the right Mobile Scissor Table considering the large range of units available. Here you’ll see a few pointers to help our customers establish the right Mobile Table for their lifting requirements. Firstly, we need to identify the capacity that you need to lift! Secondly you need to consider the lift height the load is being lifted to. Our range goes from 720MM right up to 2900MM. The third step to selecting your Mobile Scissor Table is to identify the measurement/area of the load. This will give an idea of the platform size requirement. The key factor to be aware is that the load should not overhang the platform and therefore you should opt for a larger platform size than the actual load. Finally, once you have identified the points above, you will be able to identify the unit you require. You then are able to consider whether you require to customise the table, for example a battery electric lift or bellow skirts to stop objects entering the scissor mechanism. There are a range of optional extras available which are displayed on certain individual product pages. If you require any other information regarding Mobile Scissor Tables, please don’t hesitate to give us a call on 0845 458 8025. All stocked items delivered by Tuffnell's on a 1-2 day lead time.